I have to say first and foremost, I totally geeked out listening to the last segment. 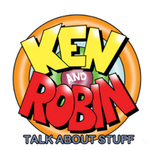 Living on the edge of the Pine Barrens, it was a ton of fun to have Ken and Robin talking about my neck of the woods. I did find the Jersey Devil scary as a kid, but I understand why adults wouldn't. But I really like how they tied together Goddard and all. 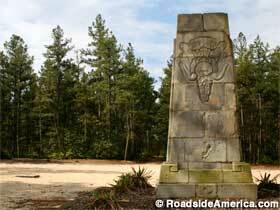 The Carranza Memorial that they only touched on peripherally is also a great thing – it's an obelisk on the side of the road in the pinelands. There's other stuff that could have been touched on, such as the borderland Lovecraft Country nature of some of the Pineys, but it was a great segment and fleshed things out well. Amidst the grar about Trump, I did appreciate the observation that he hid his ground game. That was really the only bit of insight I got there that hasn't been hashed out to death here on MetaFilter. The stealth bit was fine to start with. I think that the idea of framing "player character A is doing this while B, C, and D do a diversionary thing" is a really smart idea, although it definitely makes GMing into a juggling act. They really forgot the big key element with stealth in RPGs, though: if it's a solo PC thing, it should be quick. Definitely a step up from the last episode in overall quality. Yay! They really forgot the big key element with stealth in RPGs, though: if it's a solo PC thing, it should be quick. There was mention of making sure it didn't focus on one character too long. I was a Project Dark backer and should get around to reading the Beta I've had for a while. The discussion of Trump hit several places where how Ken sees the world differs from my own... most prominent among them being how Trump's success owes to "Republicans not acting like Republicans."